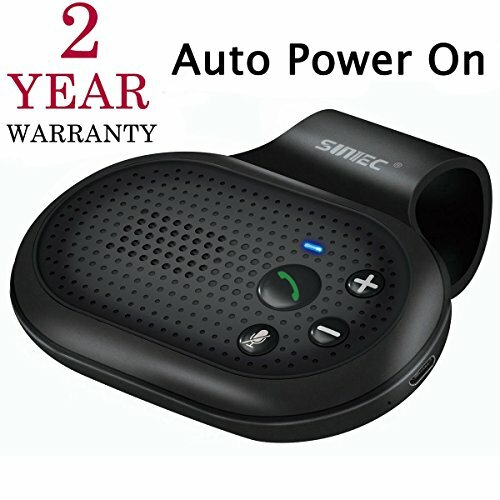 Why Choose SUNITEC BC906s Bluetooth Handsfree Carkit ??? This upgraded speaker supports Apple Siri connection, can connect 2 bluetooth cell phones simultaneously on working. to connect with two phones simultaneously. All Iphones,Samsung,HTC,Motorola Mobile Phone And Other Bluetooth Device. If your parking is very nearby the house, the phone might still connect to your speakerphone when you are at home. So please manually turn it off before leaving the car,or turn off Bluetooth from the phone to disconnect them, save battery energy. If you have any questions about this product by Sunitec, contact us by completing and submitting the form below. If you are looking for a specif part number, please include it with your message.